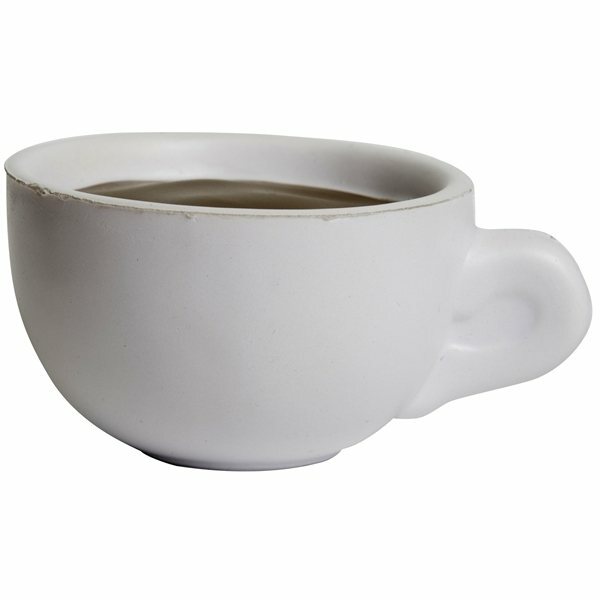 The coffee cup shaped stress reliever helps relieve stress and is perfect for coffee addicts! This makes a fun giveaway gift for a coffee shop or restaurant grand opening. Coffee companies can use these to promote their brand within grocery stores and to reach new customers! The perfect pick me up for those who can’t get their caffeine right away! the clarity of design. this site makes it easy to order online, upload images or text and get immediate proofs. Awesome long lasting product. We were very pleased, and while there was some frustration with the expected ship date, everyone worked to help me to resolve it. Great, low cost promotional item. Perfect for golf outings. Large area for displaying logo, phone number, etc. Great affodable give away!